* Free one-month secure shredding bin hire, including free delivery, all you have to pay is a minimum of one collection/destruction. Simple. 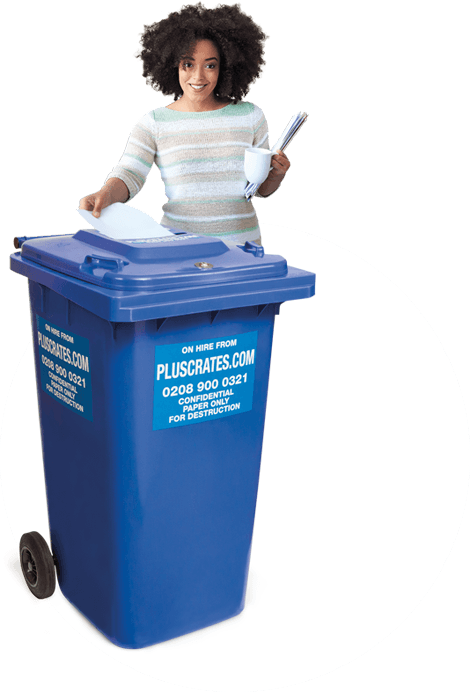 Just fill out the contact information above, and we will get in touch to arrange free delivery of your bin(s) for your free trial. We hope you love the service and become a regular customer, but there is absolutely no obligation to do so. The usual price of £4 per week bin hire is waived for the first month, all we require is for you to pay for one collection/destruction charge of £30 per bin. For more information about our shredding services, and to find out more about all businesses legal obligation to dispose of documents containing personal information and confidential data separately from regular waste, click the button below.